New Volkswagen Group subsidiary Elli Group GmbH is offering an eco-power tariff that is available throughout Germany with immediate effect as it builds up to offering a range of smart charging solutions. The initial product, dubbed Volkswagen Naturstrom, is aimed at private households and small businesses, and is targeted at all electricity users, not just VW Group customers or even electric drivers. 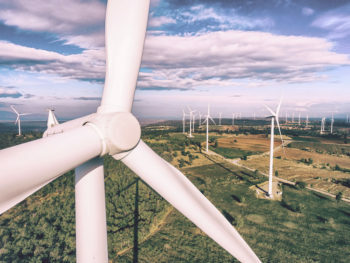 The power comes from 100% renewable sources, originating from TÜV-certified wind, solar and hydropower facilities in Germany, Austria and Switzerland. However, the longer-term goal is to provide a portfolio of smart charging solutions ranging from hardware via invoicing and additional digital services through to comprehensive consultancy packages up to the beginning of 2020. The range will include wallboxes, charging stations and IT-based energy management systems as well as customer cards for charging on the road. The plans sync with Volkswagen’s timings for its electric car plans. Starting in 2020 VW will launch a range of electric I.D. vehicles – kicking off with a production version of the Golf-sized I.D. hatchback and I.D. Crozz crossover, while the Microbus-inspired I.D. Buzz is scheduled for a 2022 debut. Elli said that its plans are focused on digital networking of energy and mobility, based on the premise that e-mobility can only be really sustainable if vehicles are powered by electricity generated on a CO2-free basis.